Lenny loves…Today is the day we fly to Oz!!! I cannot believe how quickly it has come round! Yes, today we are off to the Land of Oz! I am all packed and ready to go, I think!!! Do you ever get the feeling that you’ve forgotten something?? I can’t shake it off, but I keep reminding myself that we’re not going to the depths of the Jungle, and whatever I have forgotten, as long as its not my passport and money, we can get when we get there! I am taking along with me my Girl Tweets World Guide to Sydney, so I can check out a some of the places mentioned, especially the foodie ones! 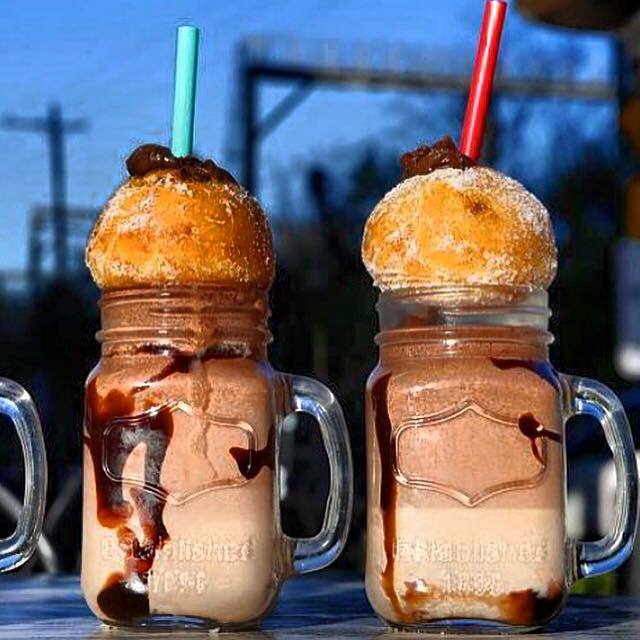 Oh, and I saw this place mentioned in some magazine or other – Foodcraft Espresso – it sells these doughnut milkshake things of beauty called Tella Ball Milkshakes…and I am so having one or two!! I doubt whether I will get chance to blog whilst I am away, but keep an eye on my social media for any updates and of course, lots and lots of photos!!! Lenny loves…One week to go to Oz!!!! Lenny loves…returning home from Oz!